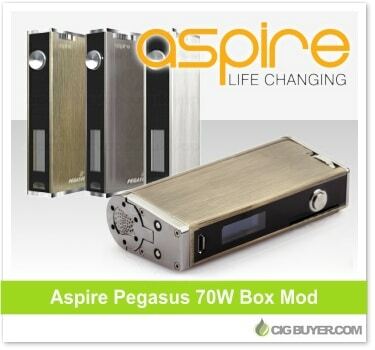 The Aspire Pegasus Box Mod is a sleek and compact device offering up to 70W of power with temperature control. Powered by a single 18650 battery, it features a unique brushed metal finish, large OLED screen, micro USB charging and spring-loaded 510 pin, along with various built-in safety features. It has a slim ergonomic design, easy-access battery door and can fire atomizers as low as 0.2 ohms; perfect for use with most sub-ohm tanks on the market.